Being Mrs. Gentry: Remember that time I quit my day job? Yeah, that happened last week. As of this coming Friday, I will officially only have one full time job, and that in management. I require mandatory naps of the Employees in my firm, yet they mutiny at each nap time. Who does that? And yet, I would never fire them. After 11 years in IT at a Company that I really love and will miss, I'm done with the two hour commute, at least for a few years. It has been a bittersweet decision, but I love my babies and am excited to spend more time with them. I was 20 when I went to Southwest Airlines as an intern, and 21 when I started as an Employee. I've basically grown up there. Through all the changes in my life over the past 11 years: marriage, buying our first house, having our first child, SWA has been a constant in my life. I always went back to my cube, my computer, my work, and my Customers. This is a huge change for me. Of course I can't sit still for very long. I'm already filling up my new life of leisure (ha) with fun things for my kids and activities for myself. 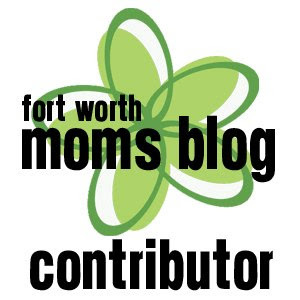 Today brings the launch date of the Fort Worth Moms Blog, and I'm one of their first contributors! 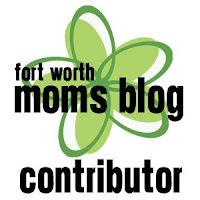 I have the privilege of posting on the inaugural day of the blog, so head on over there to read about the calendar the Moms Blog has cultivated with so many awesome, many free events in our fair city. There are giveaways each day of this launch week, so make sure to enter! I'm also pondering what my new mom wardrobe should consist of. Everywhere I go, someone tells asks me if I'm heading in to work because I'm "so dressed up." I've dropped a small fortune at Lululemon, but somehow wearing yoga (or I should say, "no-ga" since they've never seen the inside of a yoga studio) pants feels weird. This is my first week of being an official SAHM after being a working mom for 10 years! It is definitely bittersweet, but I am so excited for this new chapter in my life. So glad to have found your blog. I'll be taking notes! Congratulations! You won't regret it! your equipment before starting. Such browsing seems innocuous hardly data mining. 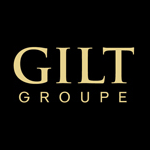 not just on attracting visitors to your site. Awww, I've always heard SWA is a great place to work. As for wardrobe, I end up wearing jeans or leggings with a cute top (long top if leggings, of course) but for the first bit I was always too dressed up. No noga pants outside the house for me, I try to make that my personal rule.